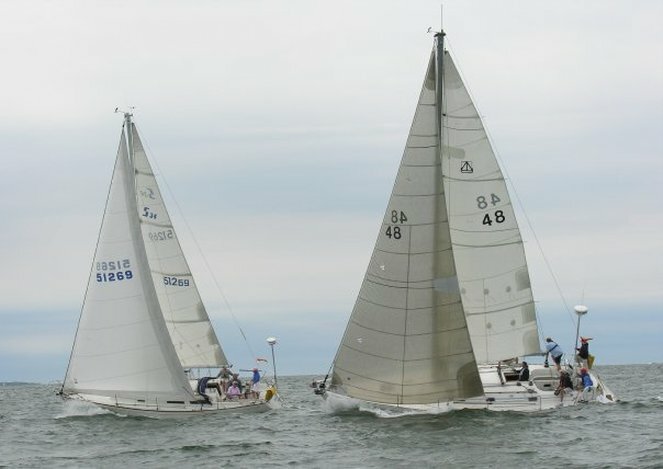 The Fall Round-the-Bay Race this year will have one start for Racing Class and one start for Cruising Class rather than the staggered "Pursuit" start that was used in the Spring Round-the-Bay Race. Course begins and finishes outside of Mattapoisett Harbor. The entry fee is $40 for both members and non-members.